Dimitris works across New Century’s corporate and political communications teams, advising clients in a range of sectors including banking, mining and geopolitics. He joined New Century from an international communications consultancy where he coordinated Public Relations programs across EMEA and lead media outreach efforts domestically on behalf of leading tech brands. Before that, he supported a Global Entrepreneurship Week campaign in Athens, Greece and, in his capacity as spokesperson, delivered a series of interviews on national television and radio. 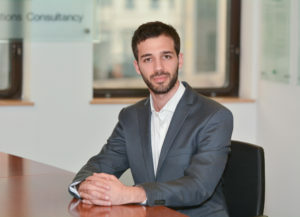 Dimitris holds a First Class with Distinction from York University in Philosophy, Politics and Economics and a Distinction from Cambridge University in International Development.